HomeFull ViewWhat Does a City Like New York Do With 173 Tons of Rechargeable Batteries? What Does a City Like New York Do With 173 Tons of Rechargeable Batteries? New York City is the largest urban area in the U.S., with eight million people living in five boroughs. During the past decade, the city has been steadily raising the bar on what it means to recycle. Need to recycle clothes? Place it in a re-fashioNYC collection bin. Old electronics? The E-cycleNYC pickup service has just launched. Compost? CFL light bulbs? The NYC Recycles web site details how to re-use, recycle or revamp just about anything in your household. Hidden among these programs is a recycling success story—a six-year old program that has collected millions of rechargeable batteries and recycled them into by-products used to create new products. Managed on a scale unequalled by any other city in the U.S., this program has been successful since its launch. What’s the secret? One city department’s commitment to making the city ‘green’ through recycling. In 2005, the New York City Council passed Local Law 97, which made it illegal for NYC residents to discard rechargeable batteries in the trash (or recycling containers) as of December 2006. In addition, stores that sold rechargeable batteries (or products containing rechargeable batteries) were required to collect these batteries for recycling free of charge while battery manufacturers were responsible to bear the cost. The NYC Department of Sanitation was placed in charge of the law’s implementation and enforcement. The purpose of the law was to recognize that rechargeable batteries may contain metals that can be harmful to the environment if disposed of improperly. The city wanted to divert these potentially harmful materials from the solid waste stream and recycle their by-products into new products. The city also wanted to ensure any waste was properly disposed of in North America and not shipped offshore. The Department of Sanitation partnered with Call2Recycle®, North America’s first and largest rechargeable battery stewardship organization, to quickly develop and launch an aggressive awareness, collection and reporting program for rechargeable battery recycling. The program focuses on collecting batteries that weigh less than 11 pounds (5 kg) and that are commonly found in two-way radios, cordless power tools, uninterruptible power supplies, cordless and cellphones and laptops. The program targeted two major groups. The first group included the approximately 20,000 retailers that sell rechargeable batteries or products containing these batteries. This included everything from mom-and-pop shops to big box stores. Businesses were educated about the new law and given Call2Recycle collection kits and window signs to alert consumers about their rechargeable battery collection boxes. The kits came with easy-to-follow instructions on how to collect batteries and ship boxes to recyclers for processing once they were full. The second target group was the city government, with approximately 300,000 employees at more than 75 city agencies and offices. A formal structure for increasing awareness and jumpstarting collections was developed. An initial email was sent to all departments to locate the correct contact at the city’s thousands of locations. Key targets included fire and police department radio rooms, repair/maintenance locations with power tools and locations with back-up batteries for small electronics. The recycling program has been a success story since its launch in late 2006. The city has collected 345,595 lbs. (172.8 tons) of rechargeable batteries–equal to the weight of 87 Toyota Prius sedans. Between 2006 and 2011, collections have increased 154%. The most popular battery collected? The Nickel Cadmium battery commonly found in cordless power tools and digital cameras, with 165,950 lbs. collected between 2006 and 2012. Collections of the popular Lithium Ion battery found in cellphones and laptops skyrocketed 2,263% in the same six-year period. 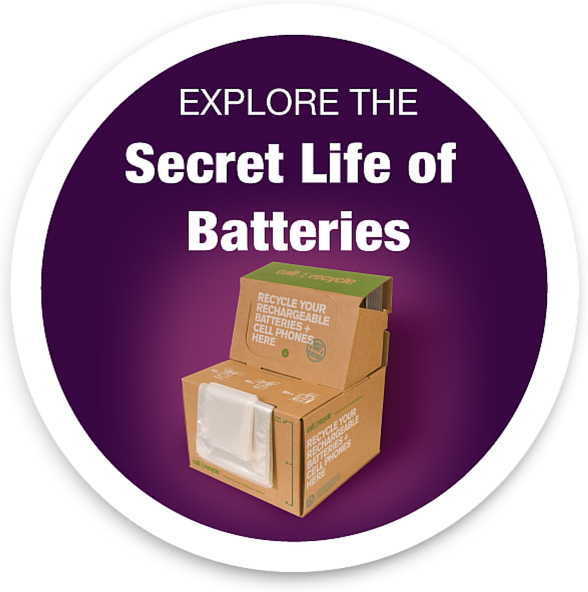 Collected batteries are shipped to Call2Recycle’s U.S. sorters and processors. They are sorted by chemistry and battery type, then melted down into by-products that can be used to make new batteries, stainless steel alloy and cement additives. To ensure that the batteries are safely and efficiently transported and processed, Call2Recycle follows the stringent guidelines set forth in third-party certifications from Responsible Recycling (R2) and the Basel Action Network (BAN). One of the big benefits for the city has been the cost savings. Since 2006, the cost of the Call2Recycle program has been zero for New York City’s Department of Sanitation; funding for the Call2Recycle program is provided voluntarily by battery and product manufacturers. The Department of Sanitation’s partnership with Call2Recycle is a major factor in the success. Both organizations share the same goal—making it easy to keep rechargeable batteries and cellphones out of the solid waste stream. To this end, the Department of Sanitation relied on Call2Recycle’s extensive recycling experience to help the city draft Local Law 97. Call2Recycle works with the Department of Sanitation to promote the program. Call2Recycle provides web site page content and printed materials to promote the program, distributes free display/collection boxes and posters to businesses and city agencies and compiles regular collection reports so the city can analyze collection trends. The city has set the standard of what a municipality can achieve with a well-planned, well-organized public rechargeable battery collection program tailored to meet the large-scale, complex needs of its constituents. Recognizing the city’s success, the State of New York passed an almost identical law in 2010. “New York City is leading the nation in its efforts to keep batteries and cellphones out of the solid waste stream. They have clearly shown what a municipality can achieve both internally and externally when you are committed to recycling as a way of life,” said Carl Smith, CEO and president, Call2Recycle. For more information, visit the NYCRecycles or Call2Recycle web sites.